How did Your Personal Training first get off the ground and how has your rapid growth been achieved? 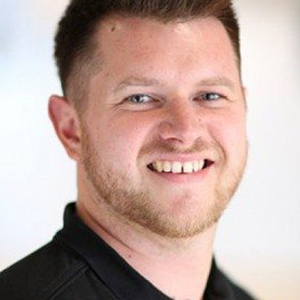 Having initially earned my stripes as a Level 2 Gym Instructor and then as a self-employed personal trainer paying a rental fee to LA Fitness, I felt as though I understood the challenges that young personal trainers face when entering the industry. After launching Your PT I had the opportunity to manage personal training across seven facilities in the north west of England. This enabled Your PT to design a model I believed would solve many of the issues that PTs going self employed for the first time are encountering. Following that contract, Your PT submitted a successful tender to become the sole PT partner for industry-leading leisure trust Greenwich Leisure Limited (GGL). GLL had 66 facilities at the time across London and since 2008, Your PT has continued to partner with GLL during their expansion, which now stands at over 200 facilities. Over the past eight years Your PT has partnered with over 50 organisations across over 400 facilities to provide an industry-leading PT model which benefits the operator, personal trainers and members. How do personal trainers benefit from being involved with Your Personal Training, as opposed to being truly freelance and going it alone? As a personal trainer we believe you have three main challenges to overcome: your competition (whether that is in a gym or another location), what are you going to pay (gym fees/room hires/park licences etc) and what support you need to succeed. As a Your PT trainer we feel we help overcome these challenges. At Your PT, your licence fee constitutes no more than 3.5 hours of PT sessions per week. This means that once you reach 25 sessions per week, only a small proportion of this equates to your licence fee. In terms of support, we make sure that as a Your PT trainer we deliver a range of support options which are all included in your fees. Our support programme includes: business/sales training, a 12 week mentoring scheme, behaviour change coaching course, social media training, online business resource centre, marketing collaterals, public liability insurance and discounted CPD courses through our partners. We feel we are providing huge value to access a Your PT licence. You’ve talked in the past about there being failings with the personal training industry, do you think things have improved? Even now, I still believe that in some gym-based positions, PTs are set up to fail. I am not entirely sure that the level of demand for personal trainers justifies the volume of PTs placed in some of these facilities. The ability of these PTs can also be called into question. Especially when newly qualified, I do not believe that the industry does enough to enable a PT to, in effect, run their own business. At Your PT, our aim is to provide a sustainable model which hopefully relieves some of the pressure from the PT and enables the trainer to focus on helping clients achieve great results! With the rise of online training programmes, self-help blogs, YouTube workouts etc, how can traditional gym-based personal trainers adapt and remain competitive? I still believe that there are a percentage of gym members and the non-gym-going general public who will always turn to online support to help them achieve their goals. But there will always be a percentage that need face-to-face, structured coaching. This is a fact. As a PT, you need to focus on the 20-25 clients you can help face-to-face and then perhaps consider developing an online platform to support customers who do not always require your face-to-face help. This enables trainers to expand their business beyond just one to one sessions and develop another revenue stream. What’s the best piece of advice you can give to new personal trainers, or those looking to enter the industry? Fully commit and focus on a positive attitude. People buy into people at the end of it all. Your clients will enjoy working with you and the results you bring so this will ultimately define your success or failure. Ask yourself this question, would you buy personal training from a negative personal trainer?